Dr. Griggs is Professor of Neurology, Medicine, Pathology, Pediatrics Center for Human Experimental Therapeutics at the University of Rochester School of Medicine and Dentistry. He was Chair of the Department of Neurology and Neurologist-in-Chief at Strong Memorial Hospital from 1986 to 2008. He also held the Edward A. and Alma Vollerstein Rykenboer Chair in Neurophysiology at the University of Rochester. He received his BA from the University of Delaware and his M.D. from the University of Pennsylvania. He received training in Internal Medicine at Case Western Reserve University and the University of Rochester where he was Chief Resident in Medicine and Fellow in Immunology. He trained in Neurology at the National Institute of Neurological Disorders and Stroke (NINDS) and the University of Rochester where he was Chief Resident in Neurology. Dr. Griggs is an internist/neurologist specializing in neuromuscular diseases with a focus on experimental therapeutics. He has directed an NIH-funded training program in the Experimental Therapeutics of Neurological Disease since 1989. He has published over 350 scientific papers and 24 texts which span the fields of medicine and neurology. He served as President of the Association of University Professor of Neurology (1994-1996). He has served on the Council of the American Neurological Association. He served as Editor-in-Chief of Neurology 1997-2006 and as President of the American Academy of Neurology, 2009-2011. He is neurology Editor of Cecil Textbook of Medicine and an Editor of Cecil Essentials of Medicine. Dr. Griggs has received numerous awards for teaching including the American Academy of Neurology A.B. Baker Award and Lecture for Excellence in Teaching. He directed the educational programs of the AAN from 1992-1997. In 1998 he received the Robert Wartenberg Award and Lectureship of the AAN. He was elected to the Institute of Medicine in 1998. Since 1998, Dr. Griggs has chaired the Executive Committee of the Muscle Study Group (MSG), an international consortium of investigators focused on developing new treatments for neuromuscular disease. The MSG is supported by grants from the National Institute of Health, Food and Drug Administration, industry, and a number of foundations. Dr. Griggs currently serves on the Board of Directors of the American Academy of Neurology, the American Academy of Neurology Foundation, the American Society for Experimental NeuroTherapeutics (ASENT). He Chairs the External Advisory Committee for Centre for Neuromuscular Diseases at the National Hospital for Neurology and Neurosurgery Queen Square, England and the NEMO Center, Milan, Italy. Dr. Griggs is Professor of Neurology, Medicine, Pathology and Laboratory Medicine, Pediatrics and Center for Human Experimental Therapeutics at the University of Rochester School of Medicine and Dentistry. He was Chair of the Department of Neurology at the University of Rochester (1986-2008). He received his BA from the University of Delaware and his M.D. from the University of Pennsylvania. He received training in Internal Medicine at Case Western Reserve University and the University of Rochester where he was Chief Resident in Medicine and Fellow in Immunology. He trained in Neurology at the National Institute of Neurological Disorders and Stroke and the University of Rochester. Dr. Griggs is an internist/neurologist specializing in neuromuscular diseases with a focus on experimental therapeutics. He has directed an NIH-funded training program in the Experimental Therapeutics of Neurological Disease since 1989. He has published over 350 scientific papers and 24 texts which span the fields of medicine and neurology. He served as President of the Association of University Professor of Neurology (1994-1996). He has served on the Council of the American Neurological Association. 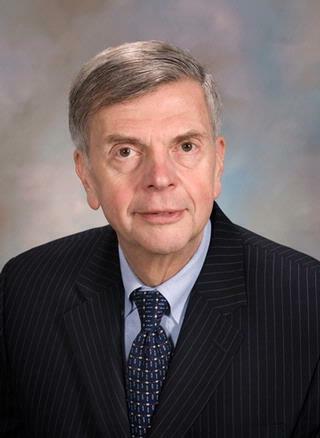 He served as Editor-in-Chief of Neurology (1997-2007). He is Neurology Editor of Cecil Textbook of Medicine and an Editor of Cecil Essentials of Medicine. He was elected to the Institute of Medicine of the National Academy of Sciences in 1998. Dr. Griggs was President (2009-2011) of the American Academy of Neurology. Dr. Griggs is Professor of Neurology, Medicine, Pathology and Laboratory Medicine, Pediatrics Center for Human Experimental Therapeutics at the University of Rochester School of Medicine and Dentistry. He served as Chair of the Department of Neurology and Neurologist-in-Chief at Strong Memorial Hospital 1986-2008. He received his BA from the University of Delaware and his M.D. from the University of Pennsylvania. He received training in Internal Medicine at Case Western Reserve University and the University of Rochester where he was Chief Resident in Medicine and Fellow in Immunology. He trained in Neurology at the National Institute of Neurological Disorders and Stroke (NINDS) and the University of Rochester where he was Chief Resident in Neurology. Dr. Griggs' research interests are focused on developing new treatments for neuromuscular diseases. He has developed treatments for the periodic paralyses, non-dystrophic myotonia, Duchenne muscular dystrophy and inflammatory myopathies. He has directed an NIH-funded (1990-2015) training program in the Experimental Therapeutics of Neurological Disease since 1989. Since 1998, Dr. Griggs has chaired the Executive Committee of the Muscle Study Group (MSG), an international consortium of investigators focused on developing new treatments for neuromuscular disease. The MSG is supported by grants from the National Institute of Health, Food and Drug Administration, industry, and a number of foundations. Dr. Griggs is currently principal investigator of the NIH-funded studies: "Acetazolamide vs Dichlorphenamide vs Placebo in Periodic Paralysis (HYP HOP), Double-blind Randomized Trial to Optimize Steroid Regimen in Duchenne Muscular Dystrophy (FOR-DMD) – a 40 center, 5 country study, and a 10 center Rare Disease Consortium: Clinical Investigation of Neurological Channelopathies (CINCH) which focuses on periodic paralysis, non-dystrophic myotonia and episodic ataxia. Karam C, Griggs RC. "Editors' Note." Neurology.. 2017 Apr 25; 88(17):1683. Alcauskas M, Griggs RC. "Editors' Note." Neurology.. 2017 Apr 18; 88(16):1590. Sansone VA, Burge J, McDermott MP, Smith PC, Herr B, Tawil R, Pandya S, Kissel J, Ciafaloni E, Shieh P, Ralph JW, Amato A, Cannon SC, Trivedi J, Barohn R, Crum B, Mitsumoto H, Pestronk A, Meola G, Conwit R, Hanna MG, Griggs RC, . "Randomized, placebo-controlled trials of dichlorphenamide in periodic paralysis." Neurology.. 2016 Apr 12; 86(15):1408-1416. Epub 2016 Feb 10. Author List: Goldman L, Levinson W, Schafer A, Crow M, Scheld WM, Griggs RC.